50 years PLUS and OVER 7,000,000 Cars Washed! Since 1967, Paul’s Auto Wash has over 50 years in Express Exterior Washing in the Michigan-Oakland County Area and has washed over 7 Million Cars. We at Paul’s Auto Wash pride ourselves on creating lifetime customer relationships by consistently delivering on Fast –Friendly- Reliable and Professional Car Wash service to every customer. We have two locations in Clawson & Troy Michigan to service you. 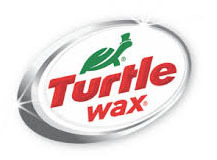 Full line of Turtle Wax Premium Car Wash Solutions scientifically formulated to Clean, Shine and Protect your vehicle surface against the elements. Paul's Auto Wash is an affordable, high quality conveyorized car wash located in Clawson and Troy Michigan.